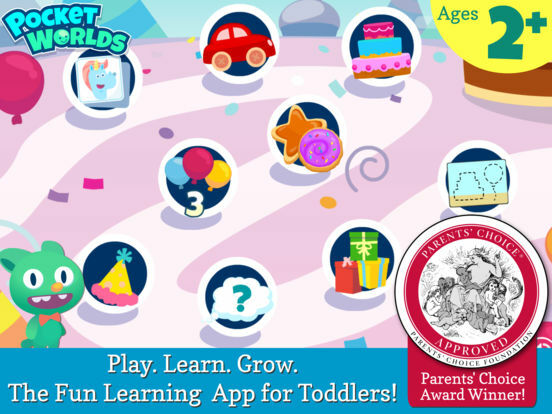 Pocket Worlds is a top rated learning app that offers fun & educational activities for toddlers - perfect for your iPhone or iPad device! 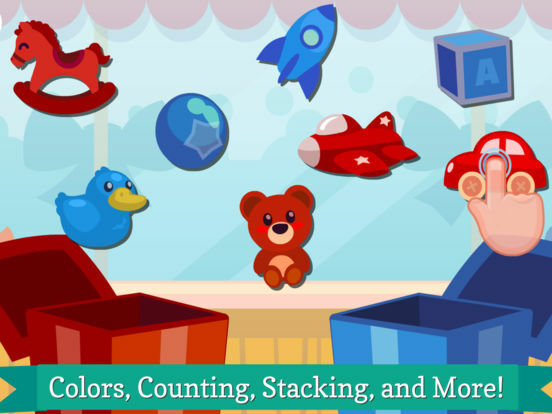 Designed for children ages 2+, Pocket Worlds combines early learning concepts like shapes, colors, and numbers with the fun of games to create a rewarding experience. 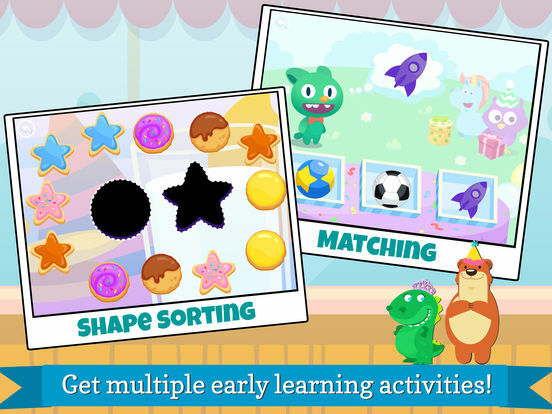 - EARLY LEARNING CONCEPTS: Matching, shape sorting, colors, numbers / counting, stacking, and more are included! - COLORING BOOK: A bonus feature colouring book to help your child freely discover art, drawing, and illustration. Fun outlines are included with each World! - HIGH QUALITY ART and VOICEOVER: Accelerate learning with sights and sounds and positive reinforcement. - PHILIPS HUE SUPPORT: Make Pocket Worlds come to life by connecting to your Philips HUE lights system! - SAFE: Always 100% Ad Free - no ad banners, no ad pop-ups, no nonsense! - MORE CONTENT: More themed worlds are available to expand your library of games! Add Alphabet, Memory, and more early learning games that appeal both boys and girls alike!. Finding FREE educational games for kids that you can trust and that meet your discerning quality standards is difficult. As parents ourselves, we work hard to develop a game that is fun, engaging, and one we’d be happy to recommend to our own friends and family. Our approach earned us a Parents' Choice Award! 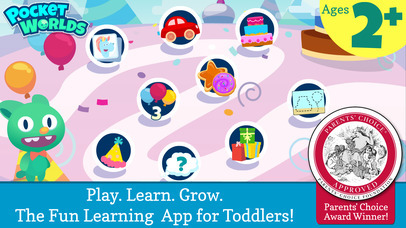 The Pocket Worlds app comes “Birthday Party World”, a free set of 9 games themed around a Birthday Party that introduce your child to learning counting, shapes sorting, matching, color sorting, and stacking. 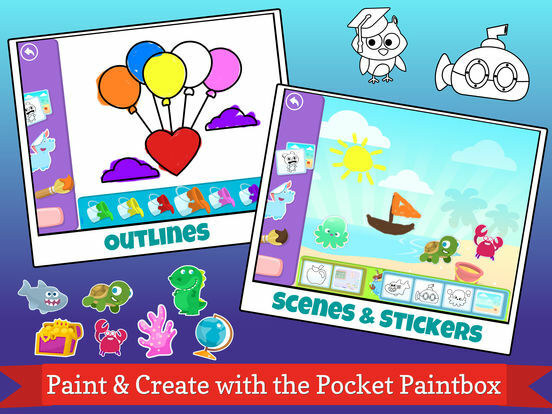 The variety of games has a level of polish only found in the best apps for children. Enjoying "Birthday World" and want more? 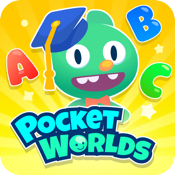 Additional content is available through in-app purchase with our “School World”, “Ocean World”, and our latest "Zoo World" expansions. Each World comes with 9 more games and bonus Paintbox stickers, outlines, and scenes! Pocket Worlds supports the Philips HUE lighting system, bringing the games to life through synchronized color effects. Each World and its games have their own special colors ready for you to explore! We know you have a lot of choices when finding educational learning apps for your kids to enjoy. We are confident that you'll find our product safe, friendly, educational, and fun for your child to play - whether they are a baby, toddler, or even kindergarten age. Let us know what you think of Pocket Worlds at feedback@tuxedogames.com.